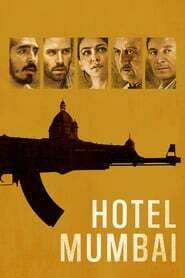 Hotel Mumbai is a 2019 Thriller Drama movie directed by . It stars Dev Patel, Armie Hammer, Nazanin Boniadi, among others. Hotel Mumbai is currently rated 7.6 stars on the ReelBugs scale. "November 26, 2008… Terror Struck The Heart Of India."